Scorched Undertow. Embroidery in progress. Teaching embroidery “sampler” as guest artist for Arts First, Bucknell University, August 2018. 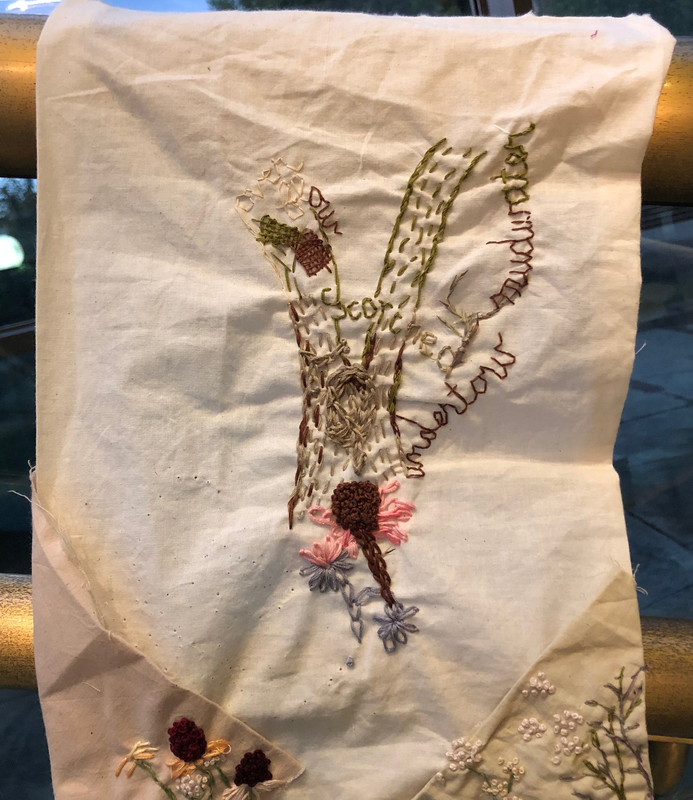 Embroidery on fabric with yellow and pink cone flower (echinacea) plant dyed fabrics appliquéd on bottom corners.